When it comes to knowing all about great style, a female perspective can be a lifesaver. Presenter and stylist Louise Roe knows what it takes to look great and while looking immaculate isn’t always necessary, being stylish and well put together are crucial! Having presented The Clothes Show and makeover show ‘Plain Jane’, as well appearing on Project Catwalk, Make Me A Supermodel and Britain’s Next Top Model Louise has the experience and fashion knowledge to help guys figure out what looks hot and what’s just not! 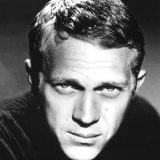 Louise thinks it’s all about being rugged not rough…if it’s good enough for cool Hand Luke…..! Which guys in the public eye do you think look well groomed? George Lamb, Thom Evans, Daniel Craig, Bradley Cooper. Ryan Gosling’s character in Crazy Stupid Love is the blueprint for a hot groomed guy. It’s definitely more socially acceptable nowadays, for a bloke to get a manicure and buy facial moisturiser. Perhaps celebrities like David Beckham and Kanye West have paved the way and men’s magazines and blogs like the grooming guide are more profilic on the subject – either way, it has to be a good thing! Trying too hard to follow trends. If you’re a straight male, it’s good to still have an element of rugged and scruffy about you. As a stylist what’s the worst style/grooming mistake you’ve seen? Flip flops with skanky toes! When have you or one of your co-hosts ever had a grooming disaster? I had my hair done by someone I didn’t know at the Soap Awards last weekend and it was like Downton Abbey ringlets. I didn’t love it but had no time to change it! I hate to generalise but on the whole having a slight tan is a good start. 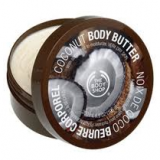 What products do you use when in the bath/shower? Philosophy face wash and Philosophy Cinnamon Buns Shower Gel, Body Shop Coconut Body Butter, Miki Sharon Shampoo and Conditioner. 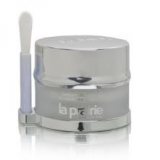 La Prairie Peel – guys don’t tend to exfoliate their faces much and this gets all the dead skin and gunk away. No I gave him a whole load so he can’t nick mine! 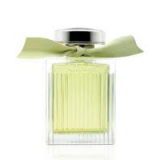 What’s your favourite fragrance on a man and for yourself? 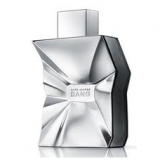 On a man, Bang by Marc Jacobs and on me, I like to wear the new L’Eau de Chloe.